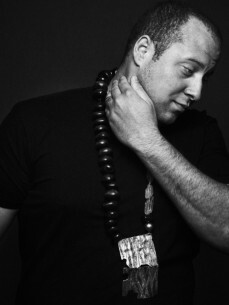 alumnus of Osunlade’s Yoruba Records, Boddhi is the label owner of Offering Recordings. He joined house music’s elite after being hand picked by Grammy award-winning producer Louie Vega in 2008 for in-house duties within the Vega stable as a producer and resident tour DJ. As a DJ he holds down a residency in places like Middle Eastern Doha. country for the first time in 12 years where his father resided. “My father used to play a lot of Jazz, Soul, Disco and off course African Rhumba, “ recalls Boddhi of his musical upbringing. “I was exposed to so many musical cultures from both my parents. Outside of the house I listened to Soukouss, Ndombolo, Hip-Hop and R&B. “My father’s love for good music led me to develop a special sensitivity, an ear to different cultures and sounds around the world.”Within months of that visit, Boddhi lost his father to sudden illness. Transition was created and released in his honour.